HARP to the distressed homeowner’s rescue! After months in the works, HARP 2.0 is available to Fannie Mae and Freddie Mac borrowers who want to refinance but owe more on their mortgages than their houses now are worth. HARP 2.0 — HARP stands for Home Affordable Refinance Program — is being billed as an improvement over the 3-year-old version that just about everyone acknowledges didn’t help anyone. The reason for that failure: The original program had limits on loan-to-value ratio, the amount of a mortgage as a percentage of the appraised value of a property. If the balance of a mortgage exceeded the appraised value — say, $300,000 versus $150,000 — the borrower wasn’t allowed to refinance. Recognizing that none of the borrowers the program was intended to help would be able to qualify, the limits were dropped when the new version of HARP was heralded in October. Does that mean all lenders have agreed to no limits? “I have lenders that have limited the loan-to-values. Some have even differentiated between attached and detached homes,” said mortgage broker Fred Glick, who has launched a blog, harp2.com, to update consumers. “They still are limiting what they will do” with loan-to-value ratios of 150 percent and no more. As with all these programs, the months since HARP 2.0 was announced have been spent trying to get lenders on board — no easy task since Fannie and Freddie loans are pooled as mortgage-backed securities that are owned by many investors. All the investors need to agree before borrowers can apply to reduce monthly payments to today’s low fixed interest rates, which remained under 4 percent for many months but now are beginning to increase as bond yields rise in an apparently improving economy. As of March 17, HARP 2.0 has been in place to help keep homeowners above water. About 4 million Fannie Mae and Freddie Mac borrowers nationwide owe more on their mortgages than their homes are worth. Those links also can be reached through makinghomeaffordable.gov, which has details about HARP 2.0 and other information. Underwater loans might also be eligible to refinance under provisions of the recent National Mortgage Settlement. That applies to loans neither owned by Freddie or Fannie nor insured by the Federal Housing Administration, which has its own streamlined refinancing under a program announced in January. Details of that settlement are being worked out, and eligible borrowers will be notified by the five participating lenders — Wells Fargo, Bank of America, JPMorgan Chase, Ally Financial and Citibank — at some point. To be eligible for HARP, homeowners must be current on their mortgage. That means paid in full up to date, with no late payments in the past six months and only one in the past 12. They also need to show that they can afford the new payments gained through refinancing without any trouble. Borrowers must have closed on their current mortgage on or before May 31, 2009, and cannot have refinanced through HARP before. In addition, mortgages must fall under current “conforming-loan limits,” which vary by region. Borrowers with an interest-only loan will be urged to refinance to a mortgage product that provides amortization of principal and accumulation of equity in the property. Those who have an adjustable-rate mortgage will be encouraged to refinance to a fixed-rate loan that eliminates the potential for payment shock, or to an adjustable with an initial fixed period of five years or more and equal to or greater than the existing mortgage. Plus, borrowers may not satisfy subordinate financing in the form of a home-equity line of credit or a closed-end second mortgage with the proceeds of the refinance mortgage. Balloon mortgages and convertible adjustable-rate mortgages are eligible for HARP 2.0 if the conditional right to refinance the balloon or convert the ARM was exercised by the borrower and “redelivered” to Fannie Mae before June 1, 2009. To determine whether Fannie Mae or Freddie Mac owns your mortgage, visit fanniemae.com/loanlookup and freddiemac.com/mymortgage. To access Fannie Mae’s frequently asked questions file, go to goo.gl/pN54x. Many of the rules and regulations outlined in the latest information from Fannie and Freddie are far beyond the understanding of the typical homeowner, and, as the government warns, scam artists are already hovering above borrowers, waiting to pounce. For information about mortgage-assistance-relief scams, visit ftc.gov. Some underwater homeowners will qualify for assistance under the mortgage settlement. The Center for Responsible Lending has a downloadable consumer’s guide for that program at goo.gl/2FZKM. Author kimhuntkwPosted on April 30, 2012 Categories National Housing NewsTags Armario Homes, pleasanton homes for sale, Real EstateLeave a comment on HARP to the distressed homeowner’s rescue! And finally – prices may be looking up! The relentless decline in home prices is nearing an end and prices should rise for the first time in seven years in 2013, but a possible new wave of foreclosures could threaten the recovery, according a Reuters poll of economists. The housing market’s collapse pushed the economy into its longest and deepest recession since the 1930s. Historically, housing has led the economy out of recession, but it has been the weakest link in the recovery that started in mid-2009. 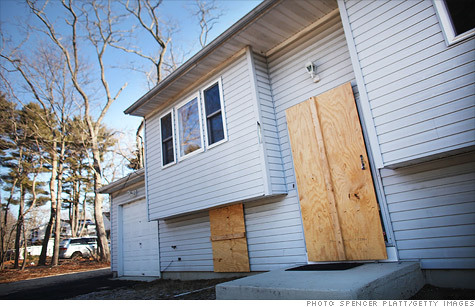 A resulting tide of foreclosures has held back the housing market’s recovery. Further MBS purchases by the U.S. central bank, however, could help keep mortgage rates low as the economy’s recovery gains momentum. Author kimhuntkwPosted on April 27, 2012 April 21, 2012 Categories National Housing NewsTags Armario Homes, pleasanton homes for sale, Real EstateLeave a comment on And finally – prices may be looking up! Foreclosure activity fell in the first quarter to the lowest level in more than four years, but mainly because the process of removing people from their homes has slowed. The number of homes just beginning the foreclosure process rose in March for a third straight month, a sign that the nation’s housing problems are far from over, according to RealtyTrac, which tracks the figures. “The low foreclosure numbers in the first quarter are not an indication that the massive reservoir of distressed properties built up over the past few years has somehow miraculously evaporated,” said Brandon Moore, chief executive officer of RealtyTrac. He said a large backlog of bank-owned properties that has accumulated over the past few years will put added pressure on the housing market when banks eventually list them for sale. “The dam may not burst in the next 30 to 45 days, but it will eventually burst, and everyone downstream should be prepared for that to happen,” he said in a news release. Foreclosure filings were reported on 572,928 properties during the quarter, down 2 percent from the previous quarter and 16 percent from a year earlier, for the lowest total since the fourth quarter of 2007, RealtyTrac said. A default notice, scheduled auction or bank repossession was reported on one of every 230 U.S. housing units in the quarter. But new foreclosure filings, which indicate lenders are beginning the process of repossession, rose by 7 percent in March, the third straight monthly increase. Foreclosure starts topped 100,000 for the first time since November 2011, although they were 11 percent lower than a year ago. The decrease in foreclosure activity was caused primarily by declining activity in the so-called non-judicial states, led by Arkansas, with a 79 percent drop, and Nevada, with a 62 percent drop. Recent legislation or court cases in those states have disrupted the normal foreclosure process, according to RealtyTrac. Foreclosure activity also slowed in other non-judicial states including Washington (down 55 percent), Arizona (down 41 percent), Texas (down 31 percent) and California (down 21 percent). The 26 states that typically require a judicial review of a foreclosure saw the pace of filings pick up in the first quarter. The year-over-year pickup in filings in the first quarter was highest in Indiana (up 45 percent), Connecticut (up 38 percent), Massachusetts (up 26 percent), Florida (up 26 percent), South Carolina (up 26 percent), and Pennsylvania (up 23 percent). States with the biggest monthly increases in foreclosure starts included Nevada (up 153 percent), Utah (up 103 percent), New Jersey (up 73 percent), Maryland (up 53 percent) and North Carolina (up 47 percent). Nationwide, the length of time it takes to complete a foreclosure continued to rise — to an average of 370 days in the first quarter from 348 days in the previous quarter. The process is picking up in some states, though. The average time to foreclose in California was 320 days, down from 352 days in the fourth quarter of last year. The process in some states, though, is taking considerably longer. Foreclosures are taking the longest, on average, in New York (1,056 days), New Jersey (966 days), Florida (861 days), Illinois (628 days) and Maryland. A TARP program that aims to help the nation’s most struggling homeowners is falling short, said a special inspector general for the bailout program. WASHINGTON (CNNMoney) — A federal-state program aimed at helping homeowners in states hardest hit by the mortgage crisis is falling far short of its goals, a federal watchdog said in a report released Thursday. In the report, the Special Inspector General for the Troubled Asset Relief Program (TARP) said that just 3% of $7.6 billion available in the Hardest Hit Housing Markets program — available for 18 states and the District of Columbia — had been tapped as of Dec. 31. The money has gone to help 30,640 homeowners, or about 7% of the 458,000 homeowners officials estimated would be helped by the end of the program in 2017, according to the watchdog. More than 75% of the program funds has gone to prop up state unemployment programs that pay mortgages of the unemployed — not efforts such as mortgage modifications or principal reductions that would force banks to take a hit, according to the report. Christy Romero, the Special Inspector General for the Troubled Asset Relief Program, said the hardest hit fund has largely served to help the unemployed. Treasury defended the hardest hit program. The program gives states the opportunity to “leverage their unique understanding of the conditions in their communities to create effective, locally tailored programs,” Assistant Secretary for Financial Stability Timothy Massad said in a letter to Romero. TARP is the $700 billion bailout program that Congress passed at the height of the financial crisis in the fall of 2008. In addition to keeping the big banks afloat, TARP gave money to programs to help struggling homeowners. Other larger TARP-funded housing programs, including the Home Affordable Modification Program, have weathered criticism, especially from the special inspector general, for falling short in its goal of easing the national foreclosure crisis. This new watchdog report focused on a different, smaller program, the Hardest Hit Housing Markets program. The hardest hit program was targeted to states with the largest numbers of homeowners drowning in negative equity and unemployment. The money was supposed to give state housing officials incentives to come up with new and different ways to address the housing crisis in their states. But most states just used the money for programs that pay the mortgages, insurance and property taxes of the unemployed. So far, the hardest hit program has kept up with mortgage payments for some 26,100 unemployed homeowners. These programs don’t hit mortgage servicers or banks’ bottom lines, Romero said. When it comes to relieving housing woes, so far, only 436 homeowners in the program got the principal owed on their mortgage reduced. Another 170 homeowners got their second lien reduced. A big problem, which the federal government faced with all its housing programs, was getting servicers on board, according to the watchdog. The states have far less leverage than the federal government in getting servicers to work with them on programs. Treasury also took eight months to get the federal government-backed guarantors Freddie Mac and Fannie Mae to support the program, according to the SIGTARP report. “Treasury failed to recognize the lack of bargaining power that states had for recruiting servicers,” the report said. Treasury’s Massad disagreed with SIGTARP’s conclusion, saying Treasury “actively and consistently engaged with servicers” and the government-backed housing guarantors in the earliest stage of the program. Rep. Darrell Issa, a California Republican, asked the watchdog to review the hardest hit program. PITTSBURGH — As weather disasters strike with more frequency, homeowners first get hit with the destruction or total loss of property. Many are then hit with the unexpected loss of homeowners insurance policies as insurance companies re-evaluate their financial liabilities. After a tornado ripped through Springfield, Massachusetts, last year, R. Paula Lazzari’s home was badly damaged. The retired teacher found broken windows, missing siding and a damaged roof. Her insurer offered to fund repairs for one broken window and some of the siding. It took nine months — and mediation services from an independent adjuster and the Massachusetts Division of Insurance — to get her bills paid, according to the parties involved. In this era of unpredictable weather patterns, Lazzari’s case is not unique. Insurance companies are raising rates, cutting coverage, balking at some payouts and generally shifting more expense and liability to homeowners, according to reports from the industry and its critics. “Insurance companies have significantly and methodically decreased their financial responsibility for weather catastrophes like hurricanes, tornados and floods in recent years,” the Consumer Federation of America said in a statement after studying industry data. Some insurance companies have pulled out of weather-challenged states — meaning they will not write new homeowners policies and may not renew contracts with current policyholders. “The increased frequency and severity of storms over the last decade have highlighted the need for Alfa to review its overall property portfolio,” Alfa President Jerry Newby said in a statement. Florida, where insurers have been dropping coverage since Hurricane Andrew in 1992, is a good example of where this can lead. With an annual average of $1,460 per home, homeowners’ premiums there are second-highest in the country (Texas, at $1,511 is first), according to the most recent data available, a 2010 report from the Insurance Information Institute. “Florida’s off the charts when it comes to pricing,” said Mike McCartin, an Ashton, Maryland, independent insurance agent. “You simply have major private insurers that are unwilling to write policies in Florida,” said Robin Westcott, the state’s insurance consumer advocate. “It’s just a tough market to be in,” said Phil Supple, a spokesman for State Farm, which was once Florida’s largest property insurer. It stopped writing new homeowners’ policies there in 2007. When frozen pipes caused flooding in Phil Berger’s Ijamsville, Maryland, home last year, he got a $6,000 check from Allstate for the damages — and a policy review. Berger said an Allstate contractor told him to make $100,000 in repairs to his home at his expense or he would lose his coverage. He refused, and instead found a less expensive policy with a company that required only one smaller repair before covering the home. “You just need to be on your toes at all times,” Berger said. Allstate declined to comment on Berger’s case, but sent an email response to general questions about the company’s nonrenewal policies. Even homeowners that renew every year may find new limits buried in their policies. The Consumer Federation report said insurance companies have “sharply hollowed out the catastrophe coverage offered to consumers” by raising deductibles, capping replacement costs, and — significant for folks in the path of tornadoes and hurricanes — removing coverage for wind damage if another non-covered event (usually a flood) also occurs. “The …(CFA) could not be more wrong,” said Dr. Robert P. Hartwig, president of the Insurance Information Institute. “Cities such as Tuscaloosa, Birmingham and others are being rebuilt today because of private insurance companies paying losses — not from ‘hollowed out coverage’ policies.” Insurers have paid “literally billions” of dollars to “hundreds of thousands of claimants” affected by natural disasters, he said. “If you tell an insurance company that they can’t raise rates despite nine hurricanes in two years, obviously insurers are going to have to reduce exposure,” he said. But homeowners’ insurance premiums have been rising sharply. They have increased an average 6.33 percent annually between 2002 and 2009, according to the National Association of Insurance Commissioners (NAIC). This year, insurers have asked for rate increases of 18 percent or more in 11 states, according to the Consumer Federation. Hunter tells homeowners to shop carefully. “Go on your state’s insurance policy website and look for houses similar to yours to compare prices,” he said. The NAIC provides a map to all state insurance offices on its website and provides information about consumer insurance complaints. Hunter also recommends checking comparison websites such as insuranceproviders.com or insweb.com for companies with favorable consumer reviews for in your state. Another step is to get a professional agent to help, said Jim Donelon, Louisiana’s insurance commissioner and president-elect of the NAIC. The agents can check to make sure no important coverage — like wind — has been carved out of the policy. Compare what the agents offer with what you can find online, said Randy Moses, assistant director with the South Dakota Insurance Department. Even after getting coverage, consumers may find they need extra help. Lazzari needed both an independent broker and a public adjuster to resolve her case. Her insurer, Norfolk Dedham Insurance, not only initially refused to pay for most of her home repairs, but also planned to drop her as a customer, she said. Francis T. Hegarty Jr., president and CEO of Norfolk & Dedham Group, confirmed her version of events, but said it was not unusual for claims such as Lazzari’s to take time to resolve. Lazzari contacted an independent broker who worked with Norfolk Dedham to successfully complete her home repairs. But the broker said switching insurers would increase her payments 185 percent. That’s when Lazzari contacted the Massachusetts Division of Insurance to find a public adjuster, who eventually persuaded Norfolk Dedham to keep her on its rolls. Real estate taxes image via Shutterstock. One of the biggest financial advantages of owning a home is the mortgage interest deduction, but the amount many taxpayers submit is often greater than the allowed limit. And, while home offices have become more popular because of convenience and the downturn in the economy, many homeowners may be better off not taking the deduction because of the depreciation recapture upon sale. Both the mortgage interest and home office topics need to be double-checked before the April 17 deadline. Why April 17 this year instead of April 15? According to the Internal Revenue Service, taxpayers will have until Tuesday, April 17, to file their 2011 tax returns and pay any tax due because April 15 falls on a Sunday. In addition, Emancipation Day, a holiday observed in Washington, D.C., falls this year on Monday, April 16. According to federal law, Washington, D.C., holidays impact tax deadlines in the same way that federal holidays do; therefore, all taxpayers will have two extra days to file this year. Taxpayers requesting an extension will have until Oct. 15 to file their 2012 tax returns. Remember that an extension of time to file is not an extension of time to pay. You will owe interest on any past-due tax and you may be subject to a late-payment penalty if timely payment is not made. In a recent column, we discussed the benchmark for the mortgage interest deduction is set at acquisition debt, which is the amount of debt in place when the home is acquired. For example, if you buy a $200,000 home with a $50,000 down payment, your acquisition debt is $150,000. Many consumers stay in their homes for years, accumulate appreciation and then refinance to put a child through school, mom into a nursing home or attend a much anticipated family reunion. The new debt on the refinance will qualify as home acquisition debt only up to the amount of the balance of the old mortgage principal just before the refinancing. For example, let’s assume your home is now worth $300,000 and you need to take cash out for college tuition. The balance of your loan before you refinance is $135,000 and you take $100,000 “cash back” for a new loan balance of $235,000. However, the maximum allowable mortgage interest deduction remains $135,000 — the acquisition debt, not the bigger number from the refinance. Another popular deduction that is often taken yet needs additional consideration is the home office deduction. It’s relatively easy for taxpayers to deduct the cost of a home office. To qualify for a deduction, the space must be used exclusively and on a regular basis for either the entire business or its administrative and management activities. A home office deduction is comprised mainly of depreciation, utilities and insurance. For example, if a home has 2,500 square feet and the detached garage now deemed “the office” is 250 square feet, then 10 percent of the utilities and insurance are deductible. The actual office depreciation is 10 percent of what would be a depreciation deduction if the entire home were being depreciated for tax purposes. (Depreciation is not allowed on a typical principal residence, so the square footage allotted to “residence” would not qualify.) Supplies and other expenses directly related to the home office are fully deductible. However, all these benefits do come at a price. The tax law originally stated that if you sell your home at a gain, any depreciation for a home office will have to be “recaptured.” That means that any profit on the business portion is taxable as capital gain. On Dec. 23, 2002, the IRS issued new regulations concerning gain on home sales. As long as the home office was in the same structure and not separated from the home, only the depreciation taken for the home office after May 6, 1997, is subject to tax. IDreamAgent, a new iPhone and Web application focused on helping home shoppers organize their favorite for-sale properties, launched this week. The app, available on the Apple App Store for $4.99, was designed to streamline the homebuying process and help a home shopper drill down to the house he or she wants to buy, said a iDreamAgent representative. “We aren’t replacing the agent with this application. It is meant to help manage the data around the homebuying process,” said a company representative. Users can add details for each home they’re interested in, like asking price, photos they take of the home, and notes for the home as a whole and for specific home features, such as living rooms, kitchens, etc. Users can then share the home info by email. The app also gives the user the ability to create a Web page for each personalized listing, which can be shared via Facebook, Twitter and other social media platforms.